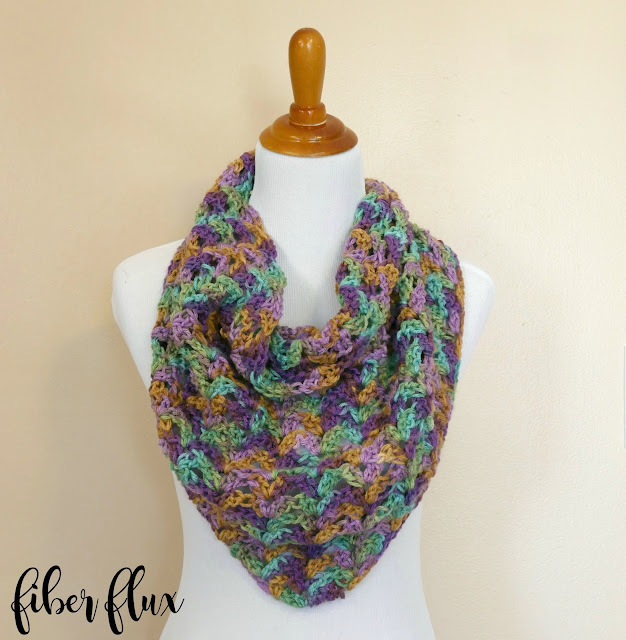 Fiber Flux: Free Crochet Pattern...Watercolor Landscape Shawlette! Free Crochet Pattern...Watercolor Landscape Shawlette! 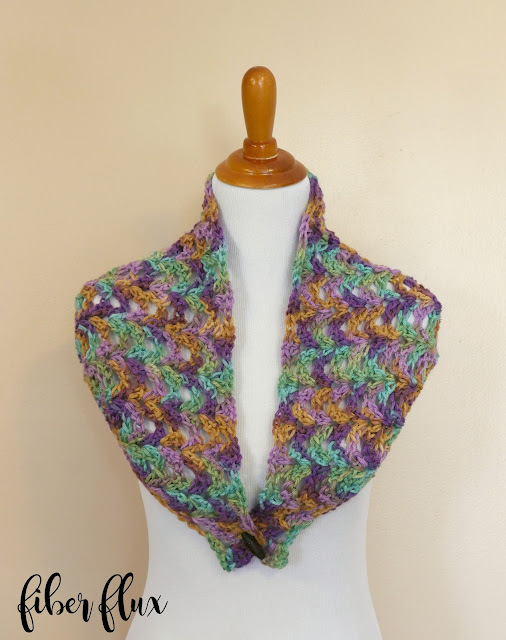 The Watercolor Landscape Shawlette is a gorgeous lacy little number that is fun and easy to stitch up. 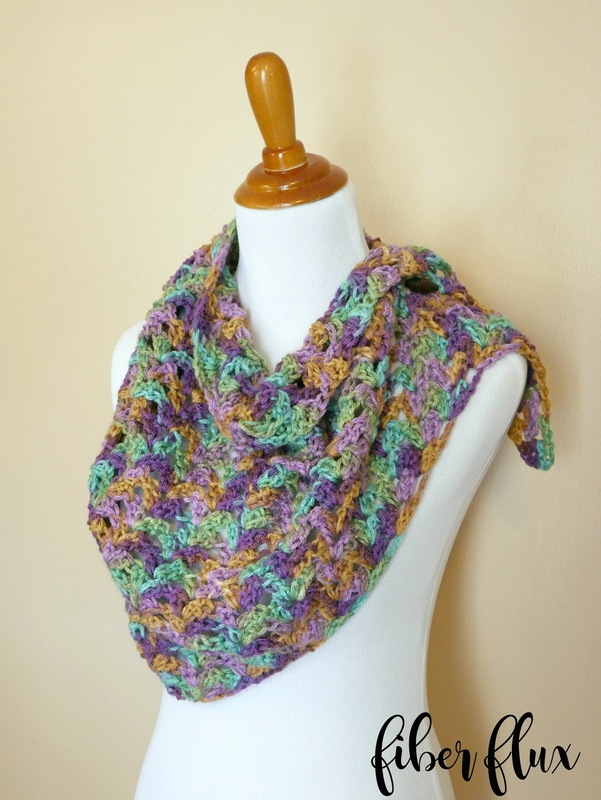 The shawlette is smaller than a traditional shawl, making it a little lighter as spring approaches too. Have fun with variegated yarn like I did, or chose an equally lovely solid color too! 1 ball of Red Heart With Love Multi in "Waterlily"
Click the image above to get yarn for this project! Row 1: In the 5th ch from the hook work (2 dc, ch 1, 2 dc). Skip a ch, the in the last ch, work (2 dc, ch 1, 2 dc). Row 2: Ch 3 and turn. Work (2 dc, ch 1, 2 dc) in each ch 1 space from the previous row (center of each fan). Work (2 dc, ch 1, 2 dc) into the turning chain space. Repeat row 2 until the shawl is about 40 inches tall or desired size. Fasten off and weave in any ends that remain. 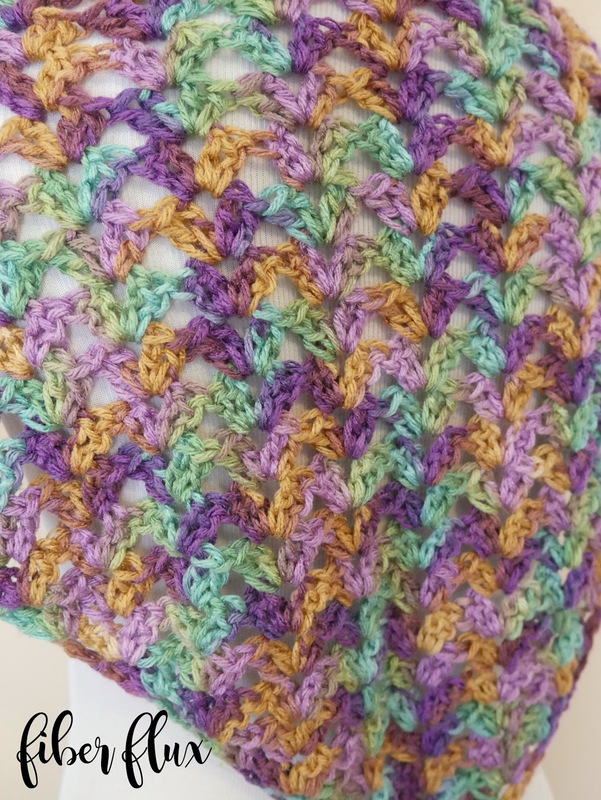 Note: To make your shawlette larger (traditional larger shawl), simply work more rows of the pattern.